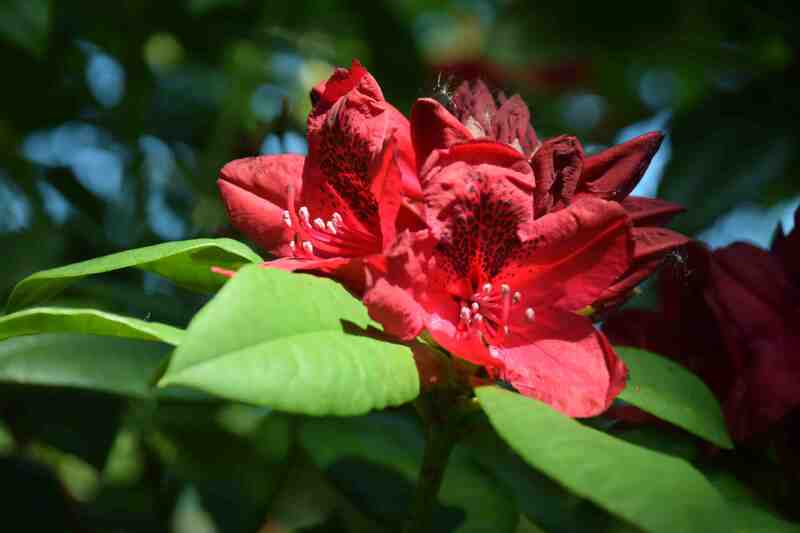 Two rhododendrons in the garden are looking good at the moment and it seemed the right time to mention them, especially as they are among the oldest and best known of all rhododendrons, often referred to as ‘ironclads’. Both are varieties I remember selling 40 years ago at the garden centre I worked at and both have the American species R. catawbiense in their breeding. 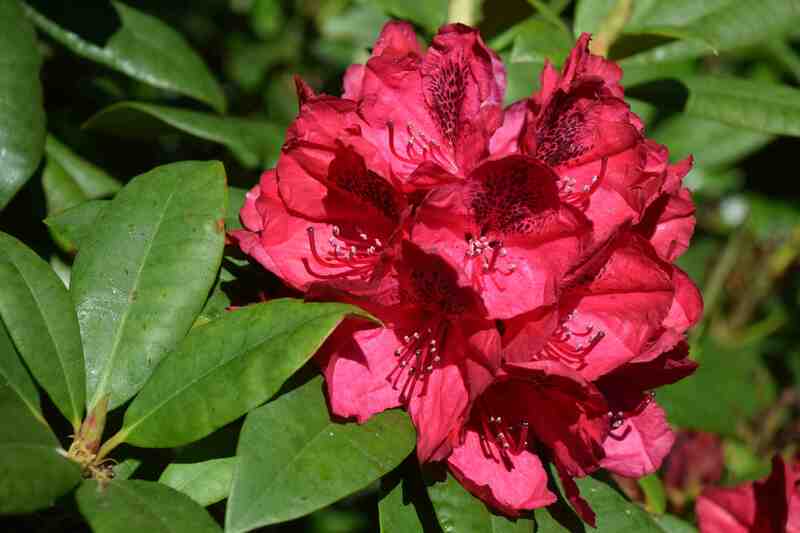 Although this species is not often grown in gardens, it was used extensively in the early days of hybridising to create tough, showy hybrids that formed the greater part of the extensive plantings in large gardens. 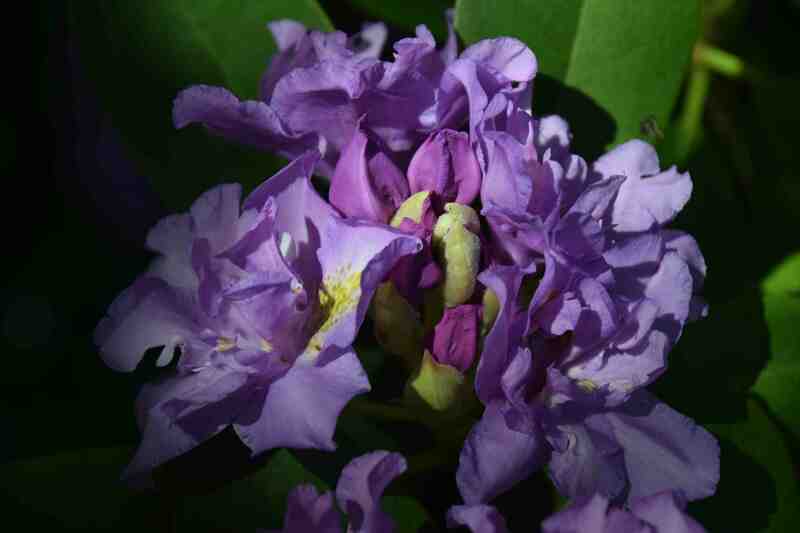 Rhododendron catawbiense is an American species found throughout the eastern states up into New England and, with its purple/lavender flowers, is similar in appearance to, and closely related to, the ubiquitous R. ponticum from eastern Europe. The two species were hybridised to produce the double R. ‘Fastuosum Flore Pleno’ in Ghent, Belgium by Geber Francoisi and it was introduced in 1846. 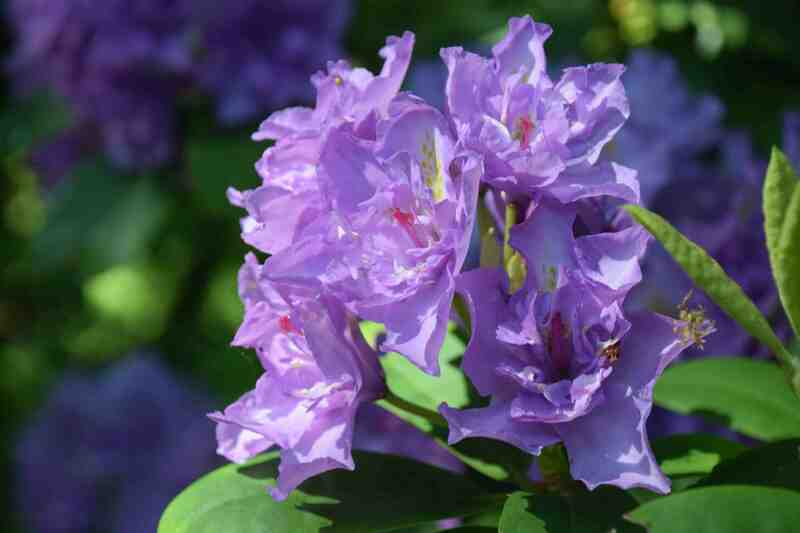 It is one of the few double rhodos and it is tough and hardy, preferring a spot in dappled shade but it is not at all fussy. Here it is in a shady spot so is a bit later than it might usually be. It is free flowering but, like most of the ‘ironclads’ has rather dull and sparse foliage. But one big advantage this one has is that it is sterile so has none of the problems associated with R. ponticum. 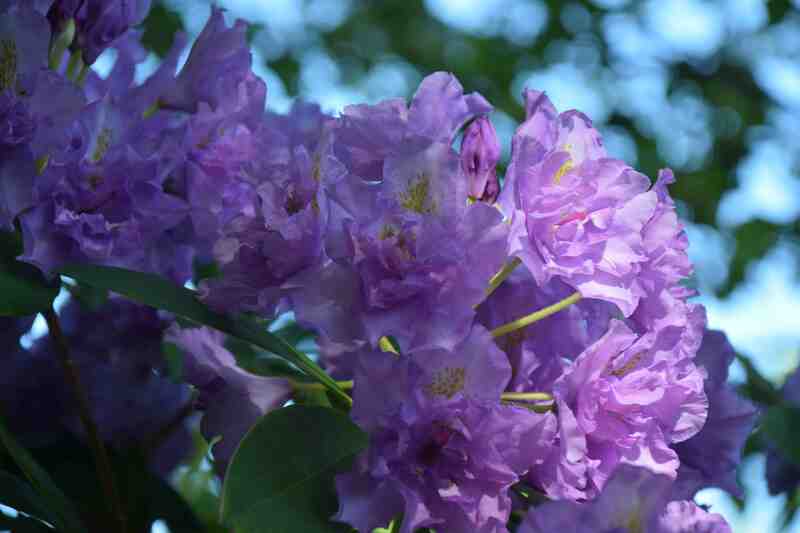 The next is a well known rhodo that has been gracing our gardens for a century. ‘Nova Zembla’ was raised in about 1902 by the Dutch nursery of M.Koster and Sons, bred from an older Waterer hybrid. It is totally hardy and will grow in sun or part shade. 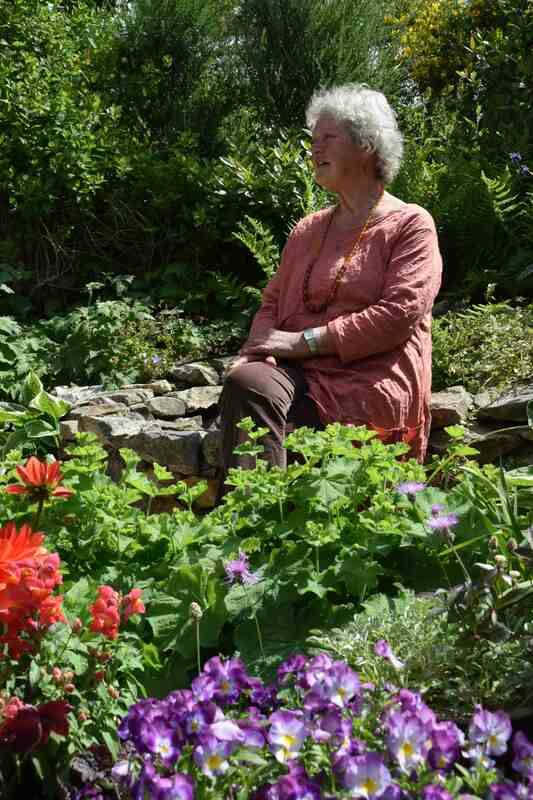 Sun will produce a more compact plant with more flowers but you will have to pay attention to watering while part shade will produce a looser-limbed plant with not quite so many flowers. 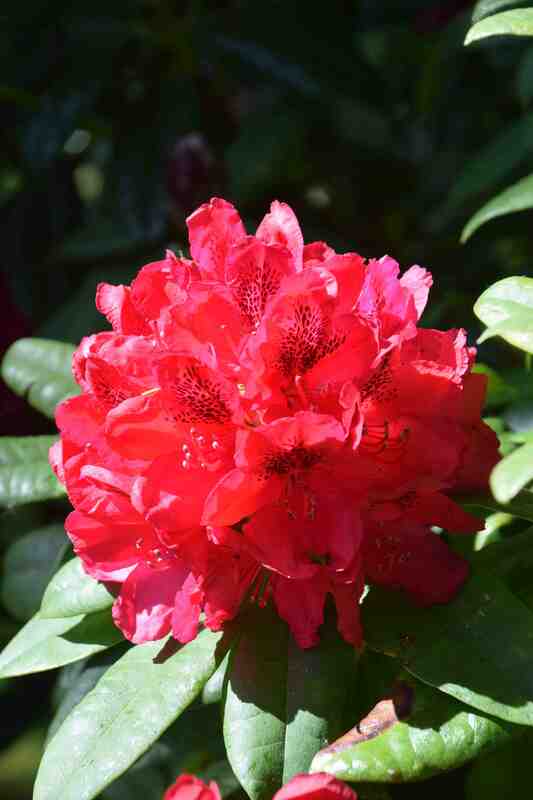 Despite its age this is still one of the best, deep red rhodos and, apparently, it will open a few flowers later in the year but these will be buds that would otherwise open the following spring so I don’t see that as being a huge advantage. 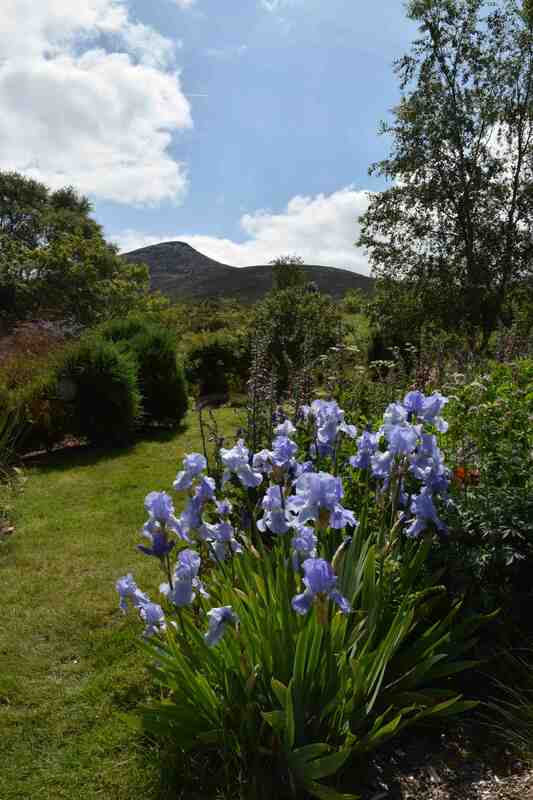 Last year I visited this garden and if you are in Ireland it is well worth seeing. This Sunday and Monday ( Bank Holiday) 12.30 – 5pm. Signage will be up from the roundabout in front of the Church as you come off the bridge. The narrow Glencap Road has now been widened a little with some passing places. There is parking for several cars on the lane approaching the cottage. Also, further up Glencap Road at the GAA pitch. It is a scenic 10 minute walk with moderate inclines. The pub in the village ‘Plucks’ serves excellent food at a reasonable cost and the premises have been refurbished. Home baked teas are usually available at a small extra charge. ← And the judges’ verdict is…..